To be more effective in achieving strategic planning goals, companies must have a place to remove themselves from the every day pulls of the office and focus on their plans. 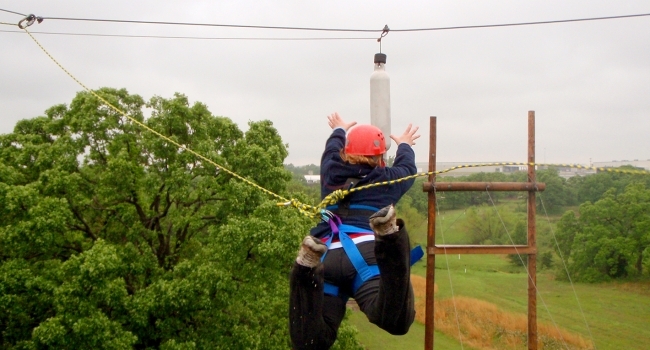 Prepare your own program, or contact us for a unique and personalized experience. Our skilled staff will collaborate with you to ensure your event is as impressive as the people and company it represents. 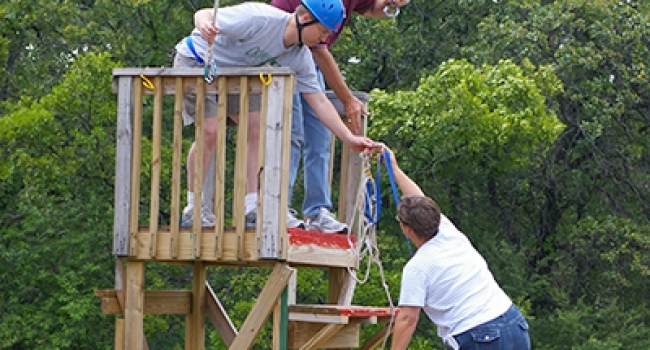 With almost 100 years of history, Camp Loughridge has stood the test of time. 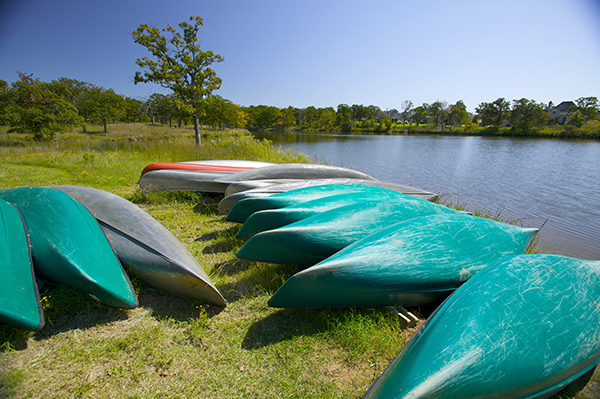 Located just 15 minutes from downtown Tulsa and close to hotels, dining and shopping, we are a destination of choice for an escape to nature. 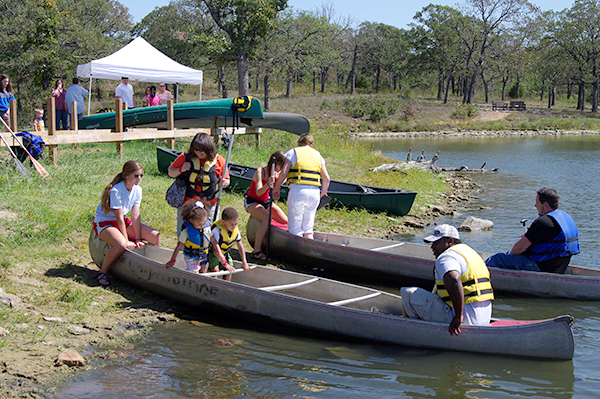 Nestled in 188 acres of hilly, wooded terrain with 3 lakes, there is something for everyone at Camp Loughridge. 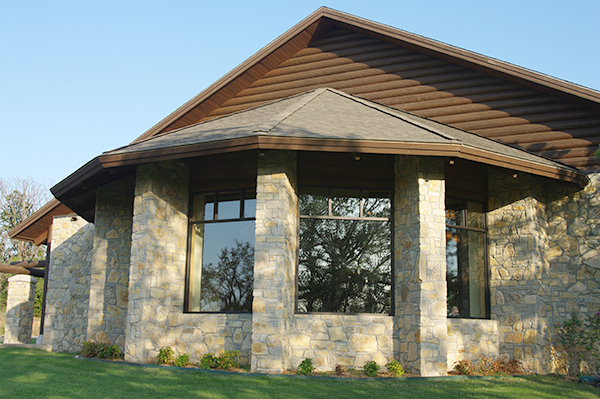 The TCC is ideal for large meetings, banquets, conferences and seminars. The foyer is a perfect place to greet guests and mingle, and the main room will seat over 300 guests. A double-sided fireplace separates the spaces. Features include built-in audio and video equipment, a Baby Grand Piano, and a large back porch with views of Turtle Lake and the woods. We offer exclusive on-site catering services from the large commercial kitchen. 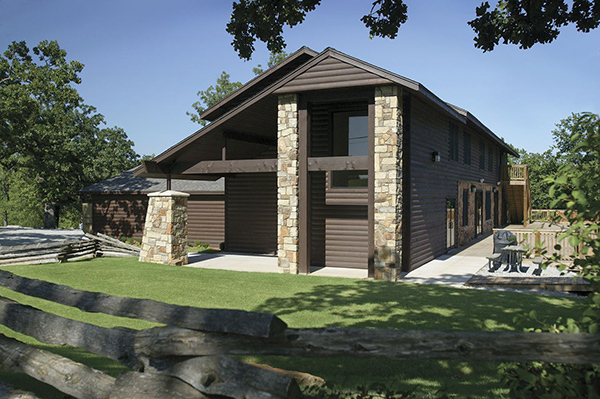 The Historic Lodge was first built in 1919 and renovated with modern amenities in 2009. 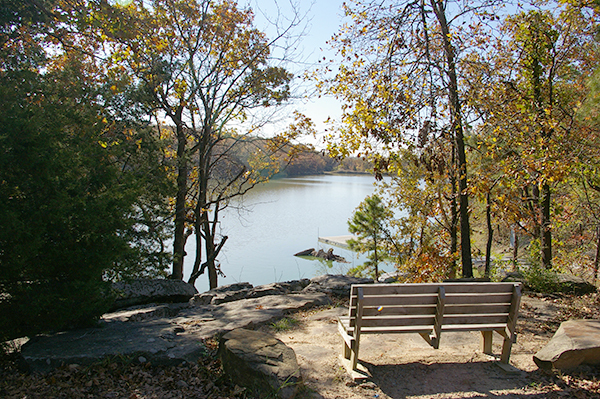 It is in a woodland setting that overlooks Lake Parthenia. The main room will accommodate seating for up to 125 and has built-in audio and video systems. A 2,500 square foot deck is perfect for outdoor entertaining. We offer exclusive on-site catering services from the small commercial kitchen. A second story provides sleeping accommodations for 44 people. This cabin gets its name from the walls of windows with breathtaking views. An escape from the city await you in this 800 square foot cabin. 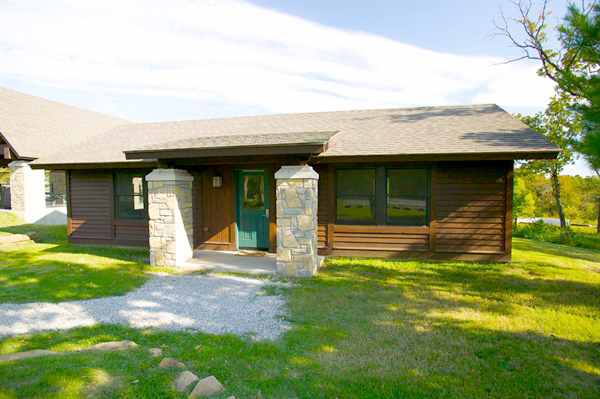 Perfect for a small gathering of up to 45 people, it offers a kitchenette, central heat and air, a stone fireplace and an LCD projector and screen. 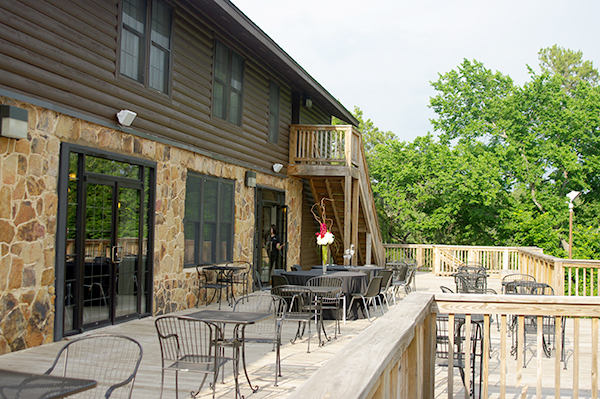 A charcoal grill, fire-pit and stand alone restrooms are a few steps from the door. 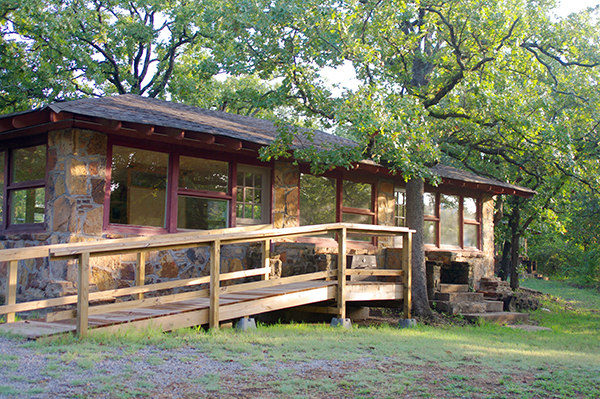 The Bunkhouse is next door with sleeping quarters for 26 people. This small cabin is next door to our Aquatics Center. Perfect for a small board meeting it will seat up to 50 people. It is climate controlled and has a microwave, sink and mini-fridge. From the front door of the cabin you are steps away from trails and Turtle Lake. Bring your Worship outdoors and experience God in nature! 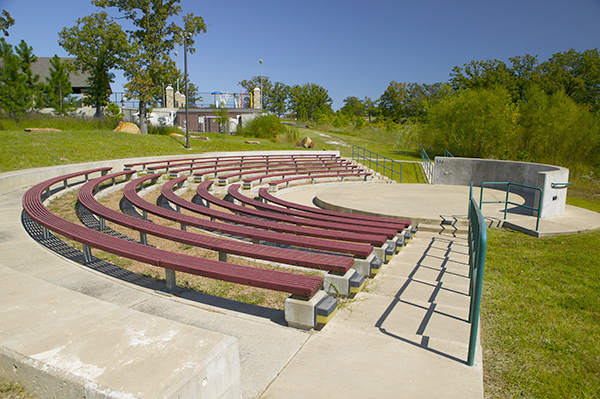 Our Amphitheater has seating for 300 guests, electrical outlets at the stage and overhead lighting. Our largest Pavilion has room for over 500 people. All Pavilions and the Amphitheater have lighting, electrical outlets and water. Tables chairs, picnic tables and benches are available. Bring the extended family out for a picnic and some fun playing kickball, softball, baseball, soccer, football or volleyball. 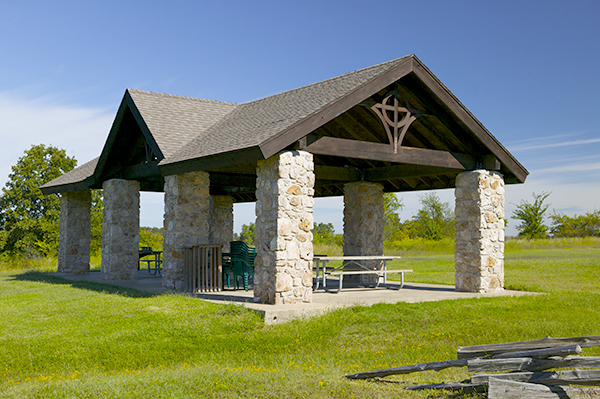 There’s sheltered picnic tables and a charcoal grill to use, and areas for exploring. Take a hike around a lake and view nature as intended, not through the lens of the electronic devices we’ve become so attached to. We have 3 lakes with wooded pathways winding around them. 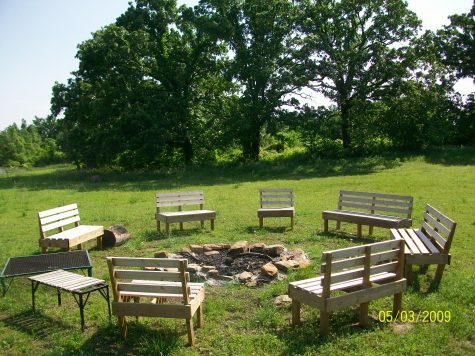 Stop and enjoy a picnic, fire in one of our many fire pits, canoeing and communing with nature. 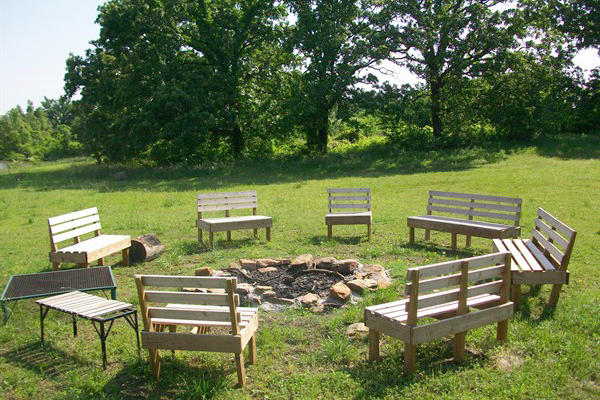 Ask about our prayer benches and how you can utilize them in your communication with God. If you’re feeling disconnected from your spiritual life, reconnect with God’s creation through walking. Aimless walking forces you out of your comfort zone and into the unknown where you might find opportunities unimagined, and when you walk in prayer those opportunities might just be straight from Him. After walking around one of our Lakes you can spend an evening warming by the fire at one of our fire pits. You bring the campfire stories and tall tales. We’ll provide the firewood, lighter and a water bucket. And, if you plan this in advance, we’ll prepare a S’more Kit.